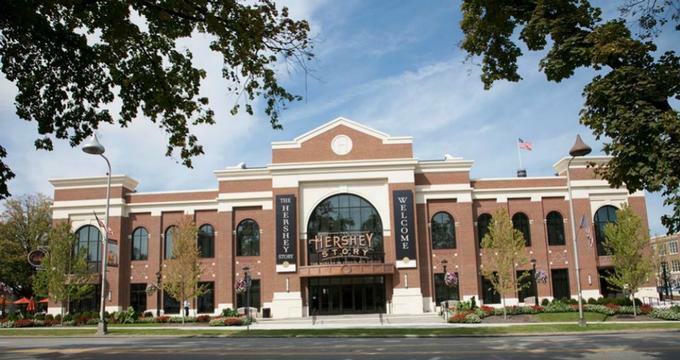 Located in the heart of Hershey, PA, The Hershey Story Museum on Chocolate Avenue is a world-renowned attraction that takes visitors on an inspirational journey through the confectioner Milton S. Hershey's lifetime. Synonymous with the Great American Chocolate Bar, the Museum follows a 150-year journey of trials and tribulations, triumphs and defeats, philanthropic endeavors and one man's unwavering confidence and determination to succeed through a series of engaging, interactive exhibits, hands-on displays, and presentations. The Museum highlights how Mr. Hershey successfully revolutionized the process of making milk chocolate from his earliest entrepreneurial ventures to his visions of building a town around the characteristics of the cacao bean. The Hershey Story Museum on Chocolate Avenue features an array of informative and entertaining exhibits and attractions for visitors of all ages. The Museum Experience explores the journey of confectioner Milton Hershey and how he rose from being a failed entrepreneur to one of the world’s masters of chocolate and munificent benefactor. The Museum Experience is housed in a state-of-the-art facility which allows visitors to discover the history of Hershey and the five distinct phases of Milton Hershey’s life through a variety of educational and immersive displays, presentations and museum exhibits. Museum exhibits include ‘Failures to Fortune’ and ‘Sweet Innovations’ which focus on the life of young Hershey, his early entrepreneurial failures and disappointments and his initial success with chocolate. ‘Power of Promotion’ and the ‘Hershey Builds Hershey’ exhibits delve into Hershey’s creative approach to chocolate making and promoting his product, while ‘A Living Legacy’ celebrates Hershey’s inspiring and passionate philanthropic work. 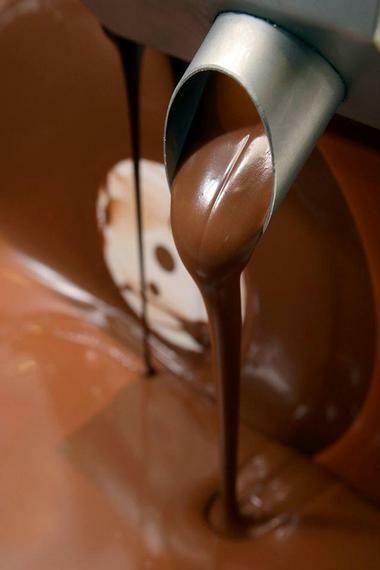 Interactive activities at the Hershey Story Museum include the Chocolate Lab, where visitors can learn how chocolate is made from the harvesting of the cocoa beans to the missing process and attempt to make their own delicious treats in a fun hands-on workshop. Visitors can experience a Hershey’s Kisses wrapping machine and try to put together their own virtual Kisses covering line. The Apprentice Program caters for younger guests with a unique “scavenger hunt-style” exploration of the museum exhibits and special hands-on replica props and the “I Spy” activity sends them on exploratory walks through the gallery displays to ‘spy’ out interesting things. 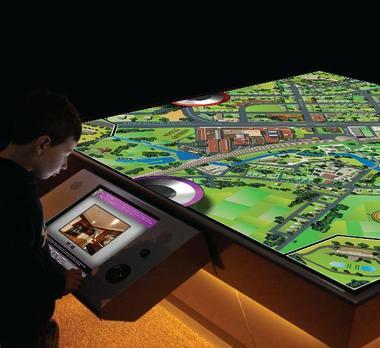 The popular Interactive Xplor-O-Scope boasts 40-inch touchscreens, rollers, and levers to provide a fun and interactive way for visitors to get a quick overview of what can be seen in the museum exhibits. The Hershey Story Museum features permanent exhibitions of artifacts related to Hershey history and American Indian and Pennsylvania German cultures, such as personal items from personal items that once belonged to Mr. and Mrs. Hershey, and an extensive collection of the unique packaging used for the confectionery businesses dating to all the way back to 1886. The American Indian collection features more than 750 items, including artifacts from all regions of North America that highlight Plains craftsmanship, such as a hand-painted Ghost Dance dress decorated brass bells and elk teeth. The Danner collection showcases elegant pieces of art and craft from Pennsylvania German cultures and highlights the life and times 19th century Pennsylvania German people. The collection has over 2,000 pieces of glassware, English ceramics, and textiles, with notable items being a John Flory blanket chest, Lehnware cups, a John Long lamp, and a 1768 inlaid shrank. The Hershey Story Museum is located at 63 West Chocolate Avenue in Hershey and is open daily throughout the year. Free parking is located in the garage directly behind The Hershey Story, and the Museum is wheelchair accessible. 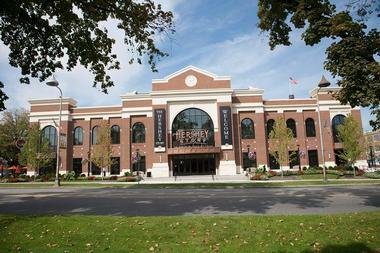 The Hershey Story Museum offers a variety of seasonal and exclusive programs for families, children, and adults, including specialized classes, workshops, performances, lectures, other unique programs throughout the year. Taste some of the best chocolate in the world with a sampling of hot drinking chocolates from around the world including Africa and Indonesia. The Museum also offers chocolate tastings for kids, which includes their own mug of warm milk and a chocolate stirring stick. 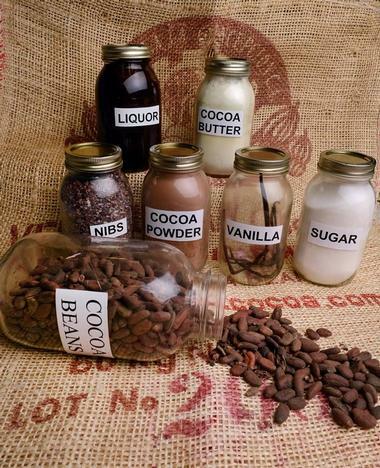 Children can explore how chocolate is made through exciting ‘Exploring Chocolate’ summer camps, where campers will learn about chocolate from bean to bar, create a bar using milk chocolate, and then add their choice of ingredients. The ‘Chocolate Expedition’ camp features a fun, interactive scavenger hunt that takes campers through the museum exhibits to explore and learn the many stories of Hershey.